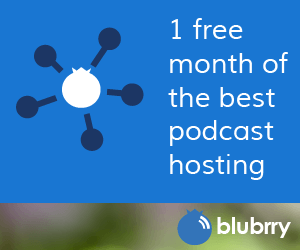 The process of obtaining and managing podcast advertising deals can sometimes be a complex one. Here is a list of some basic tips to help you make your podcast one that is advertising and sponsorship ready. Know your audience. Do the best you can to know your audience size along with some general demographic information. Publish on a consistent schedule. Shows that have a track record of keeping a regular schedule are more attractive to advertisers than those published whenever. A consistent schedule tells the potential sponsor that you are very likely to deliver your audience. Unique show branding like a header image or show photos. Description of your show and the kinds of content you feature. Information about the podcast producers and hosts. Vital statistics such as number of episodes, publishing schedule and estimated audience size. Basic demographic information on the audience including ages and geographic locations. Links to and quotes from reviews or press related to the podcast. Information about the types of advertising you are seeking for the podcast. Contact information including the name and phone number of the appropriate individual. Prepare your audience for advertising. Feel free to let your audience know that you are seeking sponsorship. Someone in the audience may want to sponsor you! Get feedback on the types of advertising they might like to have in your podcast.